SUG CAVETT’S CHURCH MEMORIES: Louise (Sug, for Sugar) Cavett and her husband were charter members of the church. She was the church’s first secretary. In this audio recording in 1975, she reminisces about the beginning of First Presbyterian Church of Oak Ridge. “Well as I recall, it takes nine months for our personal birth. For a church, believe me, it takes longer with much more travail and trauma. It all began when ten couples found themselves dumped into this melee of confusion in assorted dwellings from flattops to one D house among us. “We had been members of the Presbyterian Church of Morristown, Tenn., and missed our spiritual pastor, whom I might add was a devout dictator to his flock. We had all followed along most willingly and deeply deplored leaving there. ‘Twas a sane, traditionally established church where fathers were elders whose fathers had preceded them and sons succeeded them [as elders]. “Can you imagine? It was truly a pioneer venture for there was no heredity, no plan to follow. We met at Ed Bettis’ D house off of Delaware. Now, Bob Lafferty and I agreed not to mention the dirty three-letter word m-u-d. Too much has been said about that. But with no streets and no sidewalks, we trekked to our prayer service, of course, with the babies and children present and then soon the ladies met in what was later our women’s organization. The men focused on the organization of the church. “It was not encouraging. Our former pastor would have no part in our plans or pleas to the Presbytery, saying that Oak Ridge was only a construction camp for some unknown government project and would dissolve as quickly as it had appeared. Contacts to other southern Presbyteries also proved fruitless. “Here we were spread out like a jigsaw puzzle when Dr. Barber of Knoxville Second Presbyterian Church put the first piece in place. From then on we were on our way. Not without heartaches, pains, bewilderment, ludicrous periods, and constant prayer. You would think because I am 81 years old that I have forgotten ill tempers, rebellions, and tears. Well, maybe so, but while some flared, there were no murders. There were no lasting effects, and we all worked and worshipped together valiantly. “There are episodes that I do remember that I have to share with you. We enjoyed the birth of the organ. The women felt sorry for their husbands working in that cold warehouse downtown so they took pots of hot coffee and sweet rolls every night to them about nine o’clock. I can remember opening the door to that bleak warehouse… at the ballgame that was going on next door where they were screaming, ”Kill the umpire! He’s cheated! Cheater! Cheater!” and Ed Bettis playing, as you opened the door, Nearer My God To Thee on our new organ-to-be. “I remember two near assassinations. Our first wedding. We had one young lady in the church who had asked for the Chapel on the Hill four months before and had been assigned to this certain day. We had all worked to help decorate the church and help her in every way we could. We all assembled. Our preacher didn’t come. We waited and waited. The pianist played over and over again. The lobby of the church was crowded with the wedding party and the mother in agony and the bride almost in tears. I ran out to see what I could do to find Bob Thomas, our minister. Here he came in disheveled. I had to brush him all off. I asked him vehemently, “Bob, where have you been?” And he looked at me, saying, “Sug, our cat got up the tree and I had to go up and get it.” I could have killed him. Near assassination. “The next one we had was when our church was in its first days and we were opening it on a certain Sunday. The women of the church had gone into Knoxville, and that was not an easy trek at that time, and our parking lot beside the church was a quagmire. So the women looked at that new Lee’s carpet and the committee met and called Bob Thomas in for consultation. And we decided not to put the carpet down that first Sunday but to wait until things were a little more settled. We did not realize, really, Bob Thomas’ determination. As my daughter paraphrased it, “Blessed are the meek and the determined.” So the women went down the Saturday afternoon before at five o’clock to see that the flowers were arranged on the altar, to see that things were just as lovely as we could possibly make them. And there was Bob Thomas in his overalls… with his garden shears… and his tacks that looked like ten penny nails to us… down on his hands and knees cutting that beautiful Lee’s carpet and trying to fit it up the steps. I don’t remember the whole committee, but I do remember three -- Nancy Crews, Nell Whitcomb, and myself -- as we sat down on the first pew and cried on each other’s shoulders. “I do not want to leave this without a tribute to Bob. From so small a group, our membership grew to 1,200. He was the most zealous of pastors, and the most devout. He worried and worked over every member and brought each in from the byways and the hedges. “The worst blow came much later when we had a serious church-quake, and the exodus from that we are now recovering from as our beloved Bob Crothers pulls us back together. STAN FULKERSON ON THE ORGAN’s BIRTH: As part of an audio recording, Harry Carper, an elder and former choir director, read a letter prepared by Stan Fulkerson on the building of the church’s first organ. “Yes, perhaps we did get a bargain. But at the time, one glimpse of that monstrous heap of antiquated gutter pipe and scrap boards would have made anyone wonder, ‘Just wherein does the bargain lie?’ By way of historical review of the building of our organ, let me first say that the keynote to the building of any organ, be it large or small, is space. Since there was no church building at the time, Mr. Brock’s middle town warehouse furnished gratis this very important requirement of space for the construction of our [organ] while the church building plans were being made. Due to many different horse trades for various and sundry organ parts from all over the country, the organ soon took on some of the aspects of grapevine growth. It soon became obvious that we could use a little more space. “Church plans had already begun to crystallize and it might be surprising to know that a few slight differences of opinion had begun to develop between building committeemen and organ builders about this requirement of space. No one on either side, it seemed, had been pledged not to suddenly change his mind just whenever it suited him. “It wasn’t too long until some of these side developments of the organ took on something a little short of gigantic proportions. Then we realized that we had built a boat in the cellar and couldn’t get it out. Either the organ would have to be dismantled in pieces small enough for removal or the house must be torn down. Since we didn’t own the building, it was mostly the former that we did on the day it was moved. We didn’t have to tear down one bit more than half the house. The new home for it, on the other hand, was a humdinger. “But it has always been a mystery to me why supposedly intelligent men on church building committees always treat so lightly this problem of space. Although Mr. Brock might not have thought so, all of this was a blessing in disguise, for sooner or later the old warehouse would have to be demolished anyway. Then again I doubt that downtown Oak Ridge would have ever been built if it hadn’t been for the removal of the organ. If for no other reason, there simply would not have been space enough for them both. “Now you might get the idea that you just can’t get that much stuff inside one small warehouse, and if you do, you are correct. What we couldn’t get in the house, we just left sticking out of the cracks or spilling out of the doors. It was never necessary, however, for all of it to be assembled at one time during the construction and tryout period. There were always the migratory parts that were in transit or being worked on at various homes. To hear Eva, my wife, tell it, every piece of the organ at one time or another was stored in her living room at home and the only available space left in the whole house was a small path, which was always kept clear around the cook stove and washing machine. It was no trouble at all to climb over something to get in and out of bed. “Two years it was that this went on before the key was finally turned on the project. As for myself, I would like to say that I wouldn’t trade the experience for anything. Under Ed Bettis’ tutelage, it was the equivalent of a college education. When Ed called me one day and said I was going to build a set of bellows, I knew he was crazy and told him so. I knew about as much about a bellows as a pig does a sidesaddle. Had I known more, I would never have attempted it. I would have never read the books that I did and I would have probably accepted the advice of some of the old masters that a certain special glue and tape had to be used which would have to be imported from India at a great expense and loss of time. There is one thing for sure that one learns very quickly under Ed Bettis. And that is to improvise. “Speaking of glues and leathers, rats and mice just love them, and the Lord knows, we had plenty of them, plus a few wasps and dirt daubers down at the warehouse. I am reminded of the night when our good friend V. G. Lewis was about to whip whoever it was that branded him with a hot soldering iron on the back of his lap. On the removal of his britches to investigate the damage done to his anatomy, he discovered that we were all innocent. A wasp had crawled up his britches leg just about as high as he could go and sat down on the same site that V. G. generally used for this purpose. Since V. G. was working bent over in very close quarters, it is needless to say that quite a bit of damage was done to small metal pipes as he fetched up and snapped out of it. And the air turned blue for a few seconds. All this damage could have, of course, been avoided, had we had a little more space. “In spite of our rather lowly and cramped quarters, along with our miscalculations, lost arguments and mistakes, one cannot reminisce [about] this period without many beautiful scenes flashing upon the inward eye. Show me a setting elsewhere in the world where one could attend an evening ballgame and be serenaded by organ music. Or to put it the other way around, go to work on a pipe organ and get to watch a ballgame at the same time. Late evening grocery shoppers by the score who traded with Mr. Brock were constantly being surprised and amazed to hear strains of Nearer My God to Thee, Tennessee Waltz, Mood Indigo, Sidewalks of New York, Rock of Ages, etc., issuing from the back walls of the store. Then again there was the constant stream of visitors who came to see and hear the one and only genuine pipe organ then in Oak Ridge. Many of them, as did our children, time these visits so that they could hear Ed Bettis give his regular evening tryout concert. We could not accommodate them all due to the lack of space. "When the church building was completed this sad day finally dawned. Moving day came and went without a hitch. It had been well planned. For months before, nothing had been talked about but the great day when this colossal instrument was to have her cables cut and [get] transported to her permanent abode. As a result of this careful planning, nothing much out of the ordinary happened, save for the theft of a chest of carpenter tools belonging to Mr. Jim Horton and a few small essential organ parts, which got smashed or lost in the shuffle. By the time that dark arrived, all of it had been safely piled inside the new church. “To watch a gang of Presbyterian men struggling through a low doorway over an open flight of steps with a heavy wind box loaded with delicate metal pipes in tune is not good medicine for an amateur organ builder who has tendencies toward ulcers and apoplexy. “I don’t believe I would ever want to go through the ordeal again of installing a pipe organ in a small space. If for no other reason, it is too dangerous. In case you don’t know it, we are lucky to have Dr. Robert Lafferty still with us. About a week before the dedication deadline, Bob was assisting in the erection of the swell shutters over the grate. After the first screw had been driven home and all holds turned loose to straighten the framework in place, the screw failed and something like a ton of heavy timbers came crashing down from the top of the loft to the floor right smack on the spot where Bob had been standing a split second before. Now don’t let anyone try to tell me that God does not take care of his children, for there is proof positive here that he does. After several of us hurriedly dug away the wreckage, there was Bob all safely huddled back in a small space underneath the great organ wind chest where he had been entombed. He hadn’t received a scratch. Bob wasn’t the least bit scared either, just surprised as his saucer eyes told. He had the utmost faith that none of us really intended to kill him, not for at least thirty more minutes when we were going to do a dangerous job. “So you can readily see why all I can safely do now about building organs in a small space is just to sit back and reminisce. I don’t believe I would ever really be crushed in an avalanche of organ parts, say at home or on the job, but I am sure that my wife would kill me if I ever did bring home any more organ parts. “Before I ever attempt something like it again, I hope that enough time will elapse that I can do a complete job of penance for all the religion that I lost while the project lasted. Not only do I pray for myself, but for all organ builders and I hope God will be forgiving toward their fractious natures and receive them into heaven. MEMORIES OF WORDNA AGEE: Wordna Agee is grateful for her many years of good health, especially considering that she almost died of typhoid fever as an infant in Elk Park, N.C. For 54 years she served FPC as a soprano soloist in the adult choir under six directors. She recalls that she sang her first Oak Ridge solo, “God’ s Promise,” in 1947 in the gym at Pine Valley School. The Rev. Bob Thomas, also a soloist, was hired in 1946 as FPC’s first pastor. She said the choir had as many as 40 members at one time. One of her favorite ministers was Dr. Sam Howie. “He was a father figure who was strong, positive, and challenging,” she said. Wordna met Luther Agee in Newport News, Va., where she performed secretarial duties at Hampton Roads Port of Embarkation and the Noland Company. They were married in January 1945. They spent five months in the Panama Canal Zone, where he was a technical sergeant in the Air Force. In 1947 at Oak Ridge Army Hospital, one of the Army doctors delivered their first son Randy; he was born the same week 55 other babies were born, so many babies had to sleep in cribs in the hall. Later, their second son Marty was adopted. The Agees left Oak Ridge for two years when he served in the Korean War and then returned to Oak Ridge and FPC. MEMORIES OF PEGGY GREGORY: Peggy Gregory is one of the earliest members of FPC who still attend our church services. She recalls attending Presbyterian services in the Pine Valley School gymnasium. She and her late husband Jim became members in January 1949. They had moved to Oak Ridge with two children and had two more here. Jim worked for the Curtiss-Wright Corporation, which built cargo planes during World War II. Their second child was born in Cleveland, Ohio, before Jim got an engineering job at K-25 and later Y- 12 in Oak Ridge. After her children were older, Peggy worked in the children’s library and at the reference desk of the Oak Ridge Public Library. The Gregorys were active in our church. Jim helped rebuild the first pipe organ, sang in the choir, and served on the session. Peggy was an active member of the Women’s Association and taught fourth- and fifth-grade children in Sunday school. Their children were active participants on our church’s ball teams and attended church camps. Today Peggy says she most misses the past FPC women’s circles.—C.K. MEMORIES OF MARGARET PHARES: In the early 1950s, 17 families left FPC because of the presence of three African-Americans: Dave and Millie Woodbury (our first black family—from Michigan, where they attended a Presbyterian church) and Al Fairbanks. The Woodburys left about two years later when Dave, who had been working in ORNL’s Biology Division (where my husband Ed worked) was admitted to medical school. The 17 families formed the conservative Covenant Presbyterian Church in Woodland. This exodus, or churchquake, happened while the Rev. Bob Thomas was our minister. He was our first permanent minister and he called every member and their children on the phone on their birthdays. Lily Rose Claiborne (who once ran for election to the Tennessee General Assembly) spearheaded the establishment of the Coffeehouse at FPCOR in 1971-75. It was controversial. Some parents and others in the community thought it attracted kids addicted to alcohol or drugs, but that generally was not the case. In the mid-1970s the Rev. Bob Crothers left the national office of the United Presbyterian Church in New York City and took a position as interim minister at our church after Alex Stuart left. The reason for the move was that he and his wife Alice lost Penny, the older of their two daughters, to suicide. Alice was so distraught that Bob decided they had to leave their New Jersey home for Tennessee. The mother of FPC member Ronnie Griffin was Sallie McCaskill. She left money for the Sallie McCaskill Memorial Scholarship Fund, which gives scholarships to Oak Ridge High School students wanting to study business.—C.K. MEMORIES OF MARY ANN DAVIDSON: “I came to Oak Ridge on Labor Day in 1948 and Jack arrived in November. I was raised in the Southern Presbyterian Church. I wanted to join the ecumenical Chapel on the Hill, where all the Oak Ridge church services for first held. But Anna George Dobbins, a college friend, talked me into joining First Presbyterian. Jack went to a Union Presbytery meeting in Atlanta soon after we joined. We attended our first church services in the gym of Pine Valley School on New York Avenue, where the School Administration Building is. The choir sat in the bleachers. Bob Thomas, our minister, stood under the basketball goal. We said it looked like a halo. Jack was in bed with the mumps when he received word on Mother’s Day morning in 1953 that his mother had died. He probably picked up the bug on the train when he went down to southwest Georgia to bid her farewell. We called our minister, Bob Thomas, who it turned out had never had the mumps. Afraid of catching the disease, he said he would not be able to come over. That was certainly understandable. A short time later we heard a knock on our screen door and there was Bob. His conscience had overridden his cautions. That was the kind of person he was; his friendship enabled him to overcome his fears. He also told us he saw a snake from the woods coiled on our screen door when he knocked. I remember that people in the congregation argued over whether to build our sanctuary building with or without a steeple. Taking into account the high cost of adding a steeple, the session decided to build the church building without one. About that time some Oak Ridge people in our church who worked at K-25 moved to Kingston. That was the first exodus of a group of members from our church. The Presbyterian church in Kingston has a steeple. In the 1950s a majority of our members expressed interest in having blacks attend and join our church. I remember that one of our members was a granddaughter of the president of Maryville College. She invited the African-American president of Knoxville College to speak to our congregation, and he agreed. One of our ushers from the Deep South couldn’t tolerate having a black man in the sanctuary and as a speaker. We had a board of ushers and a session when Dr. Sam Howie came to the church in the late 1950s. He proposed combining the two groups, which consisted of at least 40 people. When they met in the early evening to discuss Howie’s suggestion, the meeting ran until 2 in the morning so that everyone could have their say. Since the 1960s there has been only a session to govern the church. JEAN BANGHAM’s CHURCH MEMORIES: I joined FPC in 1958. Before then, I had three roommates — one was Baptist, another was Methodist, and a third was Presbyterian. Only the Baptist had a car, so I rode with her to First Baptist Church, across the street from FPC. I didn’t care for the minister, who had a Scottish brogue. Besides, I’m a graduate of the College of Wooster, a Presbyterian school. (Other Wooster graduates were the late Bob Dunlap and are current members Carolyn Krause and Martina Ward.) So, when I bought my own car, I drove to FPC. I remember Dr. Howie’s sermon on Mother’s Day. It made quite an impression. Because he grew up in an orphanage, he had a different opinion about mothers than most people have. He had no feeling of motherly love. A lot of Howie’s other well-regarded sermons were about civil rights. MEMORIES FROM PAT AND WAYNE CLARK: One incident that had a great effect on us and other FPC members was when the Rev. Alex Stuart was beaten up and suffered a broken arm in Camden, Ala. This happened shortly after the civil rights protest march from Selma to Montgomery, Ala. in March 1965, when a Unitarian minister had been killed. Because Alex had journeyed to Camden with two other ministers, one of whom was black, the attacker must have decided they were there to foment trouble. They were actually there on Presbytery business to check on Presbyterian churches in Alabama. Wayne and I joined the church in 1959. Four women stand out to me for their involvement in the church. First, I remember Sug (Louise) Cavett, a founding member with her husband Longstreet Cavett. She was our church secretary, a lovely Southern woman with a sense of humor. When there was a furor over something, causing some families to leave the church, she referred to the matter as a “churchquake.” I went with her on occasion to call on new folks who had visited our church. Her husband Longstreet, better known as Streety, was probably a descendant of General James Longstreet, Confederate general and subordinate to General Robert E. Lee, or Streety’s parents admired him. A second gentle lady whose friendship I treasured was Isabel Johnson, a hard worker who left us when Rev. Stuart left the church. I accompanied her on visitations to the homes of new or prospective members. I missed her when she left. She remained active with the Presbytery for a few years after. The third woman was Josephine Jeffries, affectionately known as Josie, who, as a widow with limited income, saw the need for a parish visitor, so she decided to assume that role. She was the first person you saw when you walked through the church door. Formerly a nurse, she visited church members in the hospital and called on them at home. It seemed like Josie was everywhere. She served in this position during the ministries of Sam Howie, Alex Stuart, Bob Crothers, and David Horne until she died. After many years, the session recognized her work and offered her remuneration. She wouldn’t accept it until it was designated as reimbursement for her gasoline expenses. The fourth woman who meant a lot to me is Anna George Dobbins, who has been unable to attend church the last few years. A biologist at Oak Ridge National Laboratory, she was a tireless trooper for the church, happily willing to do what was needed. She was our church’s first woman elder, elected to the session in 1950, after the General Assembly in its wisdom decided that women could serve in this capacity. Anna George served on session more than once and on numerous committees. For years she served as church treasurer or assistant treasurer. And she was a generous donor to our church. Concerning the Coffeehouse at FPC from 1971-75, the programs were less structured than the most recent Coffeehouse here. The kids were going through a turbulent time because of the war in Vietnam and because drugs were on the scene. Bishop’s chicken, which we eat during one of the dinners in every Wednesday Night Dinner series, was named after Martha Bishop, once a member of this church. It was her recipe. After she left this church and joined Grace Lutheran Church, she started the Ecumenical Storehouse with assistance from our church members. PAUL ROHWER: Sandy and I joined this church in 1966. Before coming here, I had attended a Methodist church, but Sandy got me into the Presbyterian way of thinking. We moved here and went to FPC. At the time we were aware of differences of opinion over the design and uses of the Activities building planned for construction. Trygve and Elizabeth Myhre were the first folks we met here. We got integrated into the network soon. I was invited to serve on session. I felt ill-prepared. I thought it would be easy because I assumed that everyone would be in harmony. I couldn’t be more wrong. I joined Cullie Sparks and others in building the Walden Creek site near Gatlinburg as a summer retreat for local Presbyterian churches. Our church used it a lot more than other churches. I was disappointed when it was later shut down by the presbytery. A SKIT ON PREJUDICE: When I was about 12 years old (1970 or so), the senior high youth group performed a skit during the service. The teens were in the choir loft and the adult choir members had retreated to the congregation’s pews to watch (thus, my mother, Pat Rush, was sitting beside me). In the skit, the actors were stuck in an elevator and tension was mounting. They began making rude and derogatory comments to each other. At one point, a Caucasian girl looked at an African-American boy and said, "You stink...all you people stink." I turned to my mother and asked what that comment meant...why did she say that? She said, "Honey, that's prejudice." I had no idea what she was talking about. Prejudice was not a part of my world. I never even considered it possible. The skit went on to portray prejudice and other social issues of the day, as they remained "stuck in the elevator." I asked a lot of questions after church. I was amazed that there were people that felt that way, that people could be so cruel. To this day, prejudice and intolerance of those who aren't "like me" affects me with great sadness. What happened to me influenced the way I live my life...in a good way! DID THEY SEAL THE DEAL? The Rev. Alexander Stuart, a former pastor at FPCOR, was an important part of our most memorable experience at First Presbyterian Church. On January 6, 1973, a cold but sunny, clear day, we were to be married "at high noon" in the sanctuary, and excitement was buzzing all around us! The church was decorated beautifully, and as the time approached, more than 200 guests filed into the sanctuary. We heard the slow ringing of 12 clear chimes. We had been counseled by the Rev. Stuart. We rehearsed with him and knew the routine, but we were still nervous 20-year-olds, about to be united! All went well at first. As the vows were nearing the end and we knelt at the altar's unity candle, God blessed us through Rev. Stuart's scripture reading and "The Lord's Prayer," sung by John Shuey. Then the Rev. Stuart motioned with his arms and hands, and the "wedding march" to end the ceremony reverberated from the organ! He never said, "You may now kiss the bride!" So we promptly turned around and practically ran, smiling, to the back of the church! To this day, now over 42 years later, we always joke that we're probably not REALLY married, because we did not kiss and seal the deal at the altar!--Mr. and Mrs. J. Kyle Johnson, Knoxville, Tenn.
LOUISE FOWLER: There are many people at First Presbyterian Church who mean so much to me. However, there is one person who really stands out. Although she died several years ago, I will never forget her. Her name is Louise Fowler. When I started attending First Presbyterian in 1971 with my two young children, Louise was one of the first people to welcome me. She always had something nice to say about my children and the clothes I made for my daughter, Anna Lee. As the years passed, we became good friends. She helped me with sewing projects (she could make anything and her knitting was prize-worthy). When I was diagnosed with celiac disease in 1985, once again she was there to help. She had many food allergies and one was that she was unable to eat anything containing wheat. She helped me adjust to life without wheat, oats, rye, and barley. I still use her pancake, cornbread, and waffle recipes. Even though she was old enough to be my mother, we didn’t have that kind of relationship. She was my dear friend. We went to movies and lunch together, shared recipes, and loved spending time together. We also shared a love of reading and exchanged books. When Anna Lee was married, Louise made the pillow for the rings, and she and her husband George were the honorary grandparents. She told me that my children and grandchildren were the closest she would have to grandchildren. For each of our three grandsons, she made beautiful wall hangings that the boys still have today. She also knitted Christmas stockings for the two older boys. ENLIGHTENED BAPTISM: When she was two years old, our daughter Diane was baptized by Dr. Bob Crothers, an interim minister at FPC. Just before he dipped his hand in the baptismal font to put water on her head, she pointed to the chandelier and said to everyone’s surprise, “Light!”—C.K. OUR VIETNAMESE FAMILY: In May 1980 our church sponsored its first refugee family under the auspices of Church World Services. We were hoping to get a family of four or five members. But we agreed to host the Binh Phat Nguyen family of 11 – two parents, seven girls, and two boys -- who came here from South Vietnam and left for California in 1982. All nine of the children obtained college educations. It was a challenge to meet their needs, but they were a wonderful family. HEART TRANSPLANT MIRACLE: Many of us admired church member Charles Washington, Sr., for years. He was a loving, kind, intelligent, humble, African American chemist at the Y-12 Plant; husband to Eva, a loving and excellent schoolteacher, and father of three children, including Sam, a wonderful singer who died of a heart condition as a young man. Charles Sr. also had a heart condition. In the 1980s he was flown to Texas where he received a heart transplant, which prolonged his life. (Later, he had a kidney transplant.) He became known as the longest-living recipient of a heart transplant. We always thought Charles had a lot of heart, as did his immediate family!—C.K. BITTERSWEET MEMORIES: One of the most impressive families that I remember in our church was the White family. Dr. Tom White was an emergency room doctor. Beth White was a dedicated mother, Girl Scout leader, newspaper publicist, and a highly effective chair of one of our church fundraising campaigns. The Whites had three exceptionally bright children – Walker, Stewart, and Foy. One day we heard awful news. Stewart, a middle-school student who was a talented artist, was riding a skateboard down a steep Oak Ridge road, fell off, and hit his head so hard he had to be hospitalized. He died a day or so later from the head trauma. FPC members were shocked and terribly saddened to have lost a child from the church family. At Martin’s Funeral Home, we didn’t know what to say to Tom, Beth, Walker, and Foy, so we communicated our sorrow through hugs. Beth was strong and offered us comfort, saying she knew we were grieving along with the White family. A year or two later, Dr. White died of a heart condition. Another sad memorial service ensued. But Walker and Foy kept up their studies. Walker became a mathematician and Foy became a physician, wife, and mother. Beth moved to Wilmington, N.C., and remarried.—C.K. LOVE FROM THE CHURCH: In 1984 when Diane Krause was in second grade, she began to feel intense pain in one leg while playing in a championship biddyball (midget basketball) game on a Sunday in March. We waited a week to see if the pain would abate but it remained; she said it hurt terribly when we pressed down on her thigh. We took her to the Children’s Clinic the next Monday and she was referred to Dr. Cletus McMahon, who had her leg X-rayed. He saw a tumor on the X-ray. He made an appointment for us Wednesday morning with a pediatric surgeon at Duke University Medical Center. We received calls of sympathy from Dr. David Horne and Vicki Fogel Mykles, and Chuck Hadden and Frances Drake visited us. We left Steve with the family of his best friend on Tuesday, drove for four hours that evening, and stayed in a motel in North Carolina. The next morning we drove Diane to Duke just in time for her appointment. Herb got stopped for speeding, but the police officer let us go after we told him we were trying to get our daughter to a 10 a.m. appointment at DUMC. The doctor was kind and assured us that she probably had a benign tumor on her femur. She was given a CAT scan and other tests. I slept in her hospital room and kept a diary to help calm my nerves. Herb stayed at a Ronald McDonald’s. We saw children in the hospital in much worse shape than Diane. On Saturday her leg was operated on. The surgeon removed a benign “giant adult” tumor that apparently was pressing on a nerve. He took some of her femur bone. On Monday she was trained to use crutches properly. On Tuesday we drove home. On Wednesday we attended the Wednesday night dinner at First Presbyterian Church. The children there presented Diane with a teddy bear that they had all signed. The bear is treasured to this day.—C.K. MEMBERS TAKE ON MERCURY: Since 1955, Oak Ridge has had a mercury contamination problem as a result of work at the Y-12 plant to help the nation develop the hydrogen bomb. Four members of our church played key roles in bringing the environmental problem to light in the 1980s: Steve Gough (the accidental whistleblower), Chuck Coutant (ORNL fish biologist and chair of the city’s Environmental Quality Advisory Board at the time), Chuck Hadden (who worked for Nat Revis, the African American biologist and entrepreneur whose team helped discover that the Oak Ridge floodplain mercury was less toxic than first thought), and the late Tim Myrick (then at SAIC, which analyzed numerous samples and worked with a citizens group). Carolyn Krause has written up their stories and those of others and presented them in illustrated talks to Friends of ORNL, AAUW, and League of Women Voters, Oak Ridge.) The Oak Ridge mercury revelation led to the Department of Energy’s nationwide environmental management program to clean up 75 nuclear sites.—C.K. MEMORIES ABOUT YOUTH GROUPS: Peggy Bertrand Terpstra was a Roman Catholic and Dan Terpstra was a Protestant when they got married after earning their Ph.D. degrees from Florida State University. “Becoming Presbyterian was the ecumenical solution,” she said. "Vicki Fogel Mykles was the assistant pastor and youth director. She asked Dan and me to lead the junior high youth group. We discovered we loved working with junior high youth. We had Tracy Foster, Bart and Brennan Hadden, Emily Holloway, Steve Krause, and Leanne Trowbridge. Steve was so funny. He was a rascal. He would get on top of the air vents. ORIGINAL CANTATA: In 1984 I learned about the female prophet Deborah in the Book of Judges during Dale Hadden’s children’s sermon. Because our daughter Diane was a promising singer and the leading roles for cantatas being performed at our church went to boys, I decided to write a cantata on Deborah for Diane. I wrote the libretto but I needed someone to write the music. When our son Steve was a teen, he demonstrated a talent for composing, so nine years after I had written the libretto, he wrote the music as an independent study project as a junior at Davidson College. In June 1994, when Diane was a senior in high school, Deborah: The Rock Opera was performed. The performance, which was videotaped and shown on local TV, raised about $500 for a youth mission. Three children’s and youth choirs and the adult Chancel Choir and dancers were involved in the performance. Diane played Deborah, Steve played Barak (the reluctant Israelite army leader), and their dad Herb, wearing a strainer from our kitchen as his helmet, was a Canaanite soldier (with a fake horse and iron chariot) who sang in the choir. Diane, Steve, Emma Drake, Sarah Strickler, and James Gardner sang solos. Nathan Barrett played the drums. The cantata would never have been performed without Arlene Crawford, the director of music. Steve put in lots of notes, hoping to stump Arlene, who had been his piano teacher. It didn’t work; Arlene played the rock opera perfectly. Steve played two of his compositions on the piano. To show that Barak was uncertain whether he could successfully lead the Israelite army against the Canaanites, Steve donned his sunglasses and played a jazzy number he wrote called “Barak’s Blues.”—C.K. OFFICE COMPUTERS: In 1986 when I was a session member and chair of the Planning Committee, the session decided that the church office should have its first computer, along with a church database (Power Church Plus) and word-processing software. Should the computer be an Apple or PC? I chaired three Planning Committee meetings to which folks with home and work computers were invited to weigh in on the type of computer needed. Half the attendees favored Apple computers and the other half argued for a PC in the office. With each successive meeting, the attendance dropped off. Finally, the office manager, Mary Pigeon, resolved the issue. She told me she was taking an “introduction to computers” course at Roane State Community College, where the instructor gave the students opportunities to learn to use word-processing and other software on the PC clones he built. Through Mary the instructor offered to sell one of his PC clones to our church for a price lower than that of any new computers in stores. So Mary saved our church money and started work on a computer she had already practiced on. Today all staff members have computers.—C.K. THE BANNER: If you’ve ever wondered how our church newsletter got its name, here’s the story. Office Manager Mary Pigeon came up with the name because of our church’s tradition of making banners representing the confessions and displaying them in the sanctuary at appropriate times. “Banner” is also a name used in titles of some newspapers, such as the defunct Nashville Banner. As chair of the Planning Committee and a newsletter editor, I approved the name. A strong church is one in which staff and members of the congregation work well together.—C.K. MILDRED BULLOCK: We remember well the years we spent helping Mildred Bullock with the “Activities Time” for children and youth on Wednesday evenings, when the children’s and youth choirs (the Cherub, Carol, and Westminster choirs) rehearsed. While the children were at rehearsals, the older youth were in the fellowship hall playing games, having fun, or enjoying a snack. We later realized that instead of calming down in fellowship hall to prepare for serious music study, they were often pretty charged up. We figured Arlene Crawford, the director of music, would have her hands full once they arrived for their musical training. There were about ten or so children and a comparable number of teenagers. SOUND SYSTEM GLITCH: When I first joined the group that controls the microphones and sound system recording equipment, we used an audiocassette player and recorder to record the services for shut-ins. If the service ran longer than an hour, we had to take out a cassette and put in another one to record the rest of the service. Then the operator had to push two buttons at the same time—RECORD and PLAY. We would usually insert a tape that contained a recording of a previous service and then record over it. 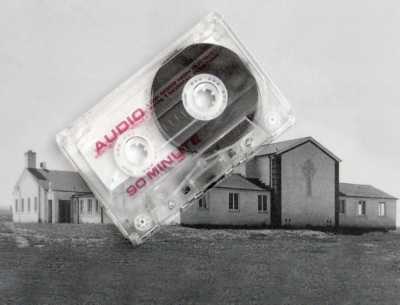 One time during a long service in the 1990s, when the minister was performing communion, a tape was inserted into the recorder, but the operator’s finger slipped and he pushed only the PLAY button. Suddenly, the last part of the minister’s sermon from a previous Sunday was being broadcast but he didn’t recognize his own voice. “Would someone please turn off the radio?” he yelled. The embarrassed operator immediately pressed the STOP button.—C.K. TWO PARISH NURSES MAKE AN IMPRESSION: Peggy Bertrand Terpstra, a physics teacher at Oak Ridge High School and former business software entrepreneur, once thought her church—First Presbyterian Church of Oak Ridge—did not really need a parish nurse. She was not a strong supporter in 2002 when church member Jim Wessel proposed the idea and brought it to fruition with the help of a grant. "I thought we could all care for each other," she said. "I was not sensitive to people who had health problems because at that time, my family had no health problems. I didn’t understand that people with chronic or acute health problems have spiritual issues." In the early days of 2003 a stomach-churning shock changed her mind. Ben, the Terpstras’ nine-year-old son, suddenly became seriously ill. "Our perfectly healthy child was paralyzed and put on life support in five days," she said. "We took him to Children’s Hospital of East Tennessee, where he was diagnosed with Guillain-Barre syndrome." This sometimes-fatal illness is an auto-immune syndrome that affects the neurological and muscular system. The cause is not usually known. "The Presbyterian church gave us incredible support," Terpstra said, citing visits and expressions of concern from parish elder Rebekah Bell, other church members and the church’s new pastor, the Rev. Kerra Becker English. But the person the Terpstras saw the most was Barbara Parker, the church’s new parish nurse. Parker, wife of a Baptist preacher, was an employee of Methodist Medical Center of Oak Ridge but her office was at the church. "Barbara made the trip to the hospital in Knoxville once or twice a week and provided wonderful support," Terpstra said. "Barbara understood both the medical aspects and spiritual nature of a severe illness and could talk to us—Dan, me, Ben and our daughters Katie and Sarah—from that perspective, as well. She prayed with us in Ben’s hospital room. She was there as a representative of our church, not the hospital, which has control over your life. She was more like an advocate for us." HARRY CARPER: At a session meeting in February 2003, I said, “I’d like to talk about the life of Harry Carper because he is a familiar example of a man who lived a life of love. Harry had a magnificent bass voice. When Harry died, several people said to me, ‘We’ve lost the Voice of God.’ I remember hearing Harry provide the voice of God during church services, a symphony and chorus concert on Noah and the Ark, and in our church’s original rock opera Deborah. Someone else said, “He was a great encourager.” You could not talk to Harry without him offering you some encouragement for something you were doing in your life. Harry was a complete success in every aspect of life: family, work, community, church, and faith. But what made him a great man was his capacity to show love to everyone he met. Jack Davidson was a pillar of support for adult Christian Education in our Church. Jack always had a deep interest in the subject of science and religion. I am requesting the C.E. Commission propose to Session the establishment of a lecture series in honor of Jackson B. Davidson. I suggest the series be entitled the Jackson B. Davidson Lecture Series on Science and Religion on July 30, 2003. A committee established by the Christian Education Commission could engage a prominent speaker who is an expert in or has a profound interest in the subject of science and religion. The specific subject matter should be very broad to reflect Jack’s wide-ranging interests and intellectual openness. The committee could choose a convenient week to ensure the maximum number of people in attendance. I would also propose C.E. Commission request that Session establish an endowment fund, the interest from which would provide the support for the yearly lecture. The lecture series is intended to keep alive the memory of Jack Davidson—scientist, student, teacher, and supporter of Christian education. The first annual Jackson B. Davidson Lecture on Science and Religion will be held at First Presbyterian Church on Sunday, April 25, at 7:00 p.m. in the Sanctuary. The community is invited to this special lecture to honor the life of Jack Davidson and to celebrate his contributions to science, church, and community. The first lecture was the only one to feature a dinner prior to the lecture, but I remember that the dinner was rushed a bit to get our speaker out to begin speaking at the appointed hour of 7:00 p.m. We discovered that having a dinner at our church prior to the lecture was not an easy thing to pull off, so for all future speakers we have opted for a dinner at a nice restaurant on Saturday evening before the lecture. The lecture has been held annually since through 2014. A memorable lecture for me was that given by Antje Jackelen, who was at the time associate professor of systematic theology/religion and science at the Lutheran School of Theology at Chicago and director of the Zygon Center for Religion and Science in Chicago. Antje and her husband, Heinz, were very interested in the history of Oak Ridge, so I gave them a driving tour of the community, pointing out the typical historical sites, including the International Friendship Bell made by a Japanese artist. They had been to Los Alamos and were very interested to see Oak Ridge. I had arranged to have Priscilla Campbell meet us at Oak Ridge Associated Universities (ORAU), where she worked, since I wanted to show them the portrait of William Pollard that hangs in the lobby of the Pollard Auditorium. Pollard was an Episcopalian priest and nuclear physicist who had published a book on science and religion; he founded the Oak Ridge Institute of Nuclear Studies (ORINS), which later was renamed ORAU. As we entered the auditorium lobby, we noticed that a party was gearing up and the portrait was not in its usual location! So we inquired of the folks hosting the youth party and found out they had hidden it away to prevent it from being inadvertently damaged. But they did bring it out to show Antje and Heinz. Antje and her husband returned to Sweden when she was elected the Bishop of Lund. In 2014 Antje Jackelen was elected Archbishop of Sweden, the highest position in the Swedish Church. The seat of the Archbishop is the Uppsala Domkyrka, the Cathedral of Sweden. Jackelen is the first female archbishop in a line that extends back to the year 1164. The 2013 lecture by Bill McKibben, arranged by Dan and Ben Terpstra and others, was an unbelievable experience. With an audience of 700 to 800 people, we were able to disseminate McKibben’s vision for 360.org, and bring focused attention to the urgency of making the world less dependent on fossil fuel. Fossil fuel combustion for providing electrical power, heat, and transportation has led to the degradation of the environment and respiratory health problems that have caused many deaths. It threatens to increase global warming enough to change the climate in undesirable ways. It was amazing to be in the high school auditorium listening to Bill give his lecture to so many folks! Another highlight for me personally was the chance to speak to Ian Barbour, physicist and the dean of researchers in the field of science and religion. I had hoped to engage him as a speaker. He was quite elderly and turned down our offer, saying that he had difficulty in traveling. Ian Barbour passed away on Christmas Eve 2013 after suffering a stroke on Dec 20. According to a PBS press release, his mid-1960s book Issues in Science and Religion “has been credited with literally creating the contemporary field of science and religion.” Published in 1966, this book was my introduction into the subject. While a lecture is envisioned this year (2015), it will not be scheduled for the usual time of year (late March through April, usually after Easter). We plan to pick a Sunday of the year that will not change so dramatically from year to year. The Committee is also interested in broadening the topics of the lectures. If you are interested in helping with organization of the Davidson Lectures, please contact a member of the current Davidson Lecture Committee, which includes, in addition to me, Mike Hilliard, Jim Wessel, Colin Colverson, Dan Terpstra, Carolyn Krause, and Sharon Youngs (ex officio). ORGAN RENOVATION: In 2004, the session decided that the pipe organ should be renovated or replaced with an electronic organ. The options were discussed during a congregational meeting before a vote was taken. Shortly before he died, Jack Davidson suggested a “do nothing” option: “If it ain’t baroque, don’t fix it.” People laughed at the pun but then voted to renovate the organ.–C.K. THE CHURCH FAMILY: When I was in elementary school, high school, and university, I chose my own friends. It was a hallmark of my independence to select who I spent time with. I assumed it would be a lifelong pattern. Looking back, it was a naïve assumption. When my new husband Gene and I moved to Oak Ridge, we visited a number of churches. Eventually, we ended up at First Presbyterian Church (FPC). Within a short time, my circle of friends was mostly church family. Looking back, it was no accident that we chose to attend FPC; God placed me in this church family. I have grown and thrived here. I have learned valuable life lessons being part of the church family. For example, while I was at the Montreat Worship and Music conference, the keynote speaker asked the question, “Have you ever wondered why God placed in your church family that person who grates on your nerves?” Immediately, a face at FPC came to mind. The speaker then answered her own question: “So that you can learn to love your enemies in a safe environment.” Her answer was simple and resonated with me. That one comment from the week at Montreat has stuck with me more than all of the messages and music of the entire conference. It also made me view church families differently and motivated me to behave differently. I began to seek out that person in the congregation who grated on my nerves and engaged that person in conversation during fellowship time. That small step eventually led me to pray for the people at my work who irritated my colleagues and me. The FPC family is an intergenerational mix of individuals. God has placed us together to learn the big lessons in life and to learn to live Christ-like lives. It is with my church family that I worship and study the Bible, learning to apply its wisdom to life in the twenty-first century. It is through the joys and struggles of my sisters and brothers in Christ that I have learned what life may bring me as I age. I have learned a number of practical things at church too, such as how to cook dinner for 100 people, how to create a paper trail for a committee, and how to say yes to a challenge and then figure out with others on the committee how to do God’s work in the world. CHURCH HISTORY: I have written and updated the church history since 1985. I started with Bob Lafferty’s draft. Then I interviewed church members to fill in the blanks. As late as 2013, I talked with Margaret Phares within a year of her death and learned from her the names of the three African Americans (Dave and Millie Woodbury, Al Fairbanks) who joined our church in the 1950s, triggering the departure of 17 families, who formed the conservative Covenant Presbyterian Church in Woodland. You can never talk to too many people to get the most interesting and significant parts of the story.—C.K. CHILI COOKOFF CHAMPION’S TALL TALE: First I called my story “The Legend of Lab Batch Chili.” Then I titled it “Back When the Cold War Was Really Chili.” People at First Presbyterian who sampled my chili at a 2013 fundraiser for a mission to Belize were encouraged to take a copy of my story and read it. The two world leaders squared off and, after a tense exchange, a contest of cultures was agreed upon. America and the Soviet Union would hold a cook-off. The contest would be judged by a relatively neutral party, which was agreed upon to be Japan; the Soviets counted on the importance of honor in Japanese society to ensure a fair judgment. The contest was to be held as soon as possible, but interminable negotiations delayed the event until October 1962. The event indeed coincided with the much more famous Cuban Missile crisis and played a role in its outcome. The cook-off, which was held in Osaka, Japan, was presided over by the Yakuza Gangs that run the city. Much preparation was spent on the contest both in the Soviet Union and in the United States. In the Soviet Union, Boris Baddenoff, an intellectual leader of the Communist Party, was assigned to produce the best possible borscht of the motherland. Inferior beets and an uninspired workforce of former tank officers hampered his communal kitchen. The Japanese chefs pressed into service by the Yakuza judged their “Motherland Borscht” harshly. For the American entry, a state-of-the-art Burrows 950 supercomputer was used to merge 15,000 chili recipes into one super-chili recipe dubbed Lab Batch Chili. The resulting U.S. chili was potent and tasty and won rave reviews from even the most conservative Japanese chef. Future attempts to outdo the recipe with more powerful computers failed, and Lab Batch Chili remains a mainstay of American diplomatic clout. The embarrassment of the cook-off loss caused Premier Khrushchev to think twice about the invincibility of the Soviet State. So he decided to back down from the Cuban missile crisis. Even less well known is the fate of the judges of the contest. The Yakuza were so inspired by the cook-off that they began to hold cook-offs among chefs across Japan. These later became quite famous, leading to the hit series Iron Chefs. Although the quantities are shrouded in mystery, a Soviet agent impersonating a U.S. citizen obtained the ingredients of Lab Batch Chili through a 2002 Freedom of Information Act request. Although the agent was later apprehended, the ingredient list was made public and is as follows: lots of beef, lean pork sausage, chicken broth, beef broth, tomato paste, onions, garlic, wheat and corn (Massa) flour, ground cumin, and green chilies. LEGEND OF “WILD” CORNBREAD: The term “Columbian exchange” describes the transfer of animal and plant species between the Old and New Worlds following the voyages of discovery by Columbus and later explorers. This exchange, which had not been possible for nearly 40,000 years, fostered great changes both to the Americas and to Europe, Asia and Africa. Among the plants emerging from the New World, the most important were corn, potatoes, tomatoes, cacao, and peppers. Transferred to the New World were domesticated chickens, cows, horses, and wheat. Corn, or maize, was certainly a keystone food of the Americas. Indeed, Native Americans were using ground maize for food thousands of years before European explorers arrived in the New World. European settlers, especially those who resided in the southern English colonies, learned the original recipes and processes for corn dishes from the Cherokee, Chickasaw, Choctaw, and Creek natives, and soon they devised recipes for using cornmeal in breads similar to those made of grains available in Europe. Legend has it that “Wild” Cornbread is an early variant of the fusion of these European and Native American traditions. The legend contends that a party of settlers from Jamestown, Virginia, crossed the Appalachian mountains and settled in a sheltered valley near what is now Frost Bottom, Tennessee. Here they came across a tribe of Native Americans whose practices had surprising connections to Hebrew practices described in the Bible. Their unleavened cornbread was particularly intriguing and led the settlers to attribute “lost tribe of Israel” status to this tribe of Native Americans. Some Native American rituals described the protection of tribe members by a benevolent great spirit who was guided by marks made with chili peppers and a hastily prepared meal of unleavened cornbread. FELLOWSHIP OF GOD’S PEOPLE: Over a year has passed since my husband, Jere, and I began attending First Presbyterian Church. I remember clearly that first Sunday we attended. Entering the church we were greeted warmly by several people who welcomed and introduced themselves to us. We soon found seats as the bells chimed the 10 o’clock hour and the beginning of the service. Then heavenly music from the pipe organ filled the sanctuary. It didn’t take long for me to feel comfortable with the order of worship. I felt at home saying the Lord’s Prayer and singing the doxology. Pastor Sharon shared, with care, prayer concerns for people in the congregation. I really felt at home listening to her sermon. It was refreshing and easy to apply to my daily walk with God. At the “passing of peace” part of the service, many friendly people shook our hands. One person in particular stood out: Sue Byrne. With her wonderful smile, Sue showed us a caring and genuinely loving attitude. “I hope you will continue to come back here to visit,” she said warmly. My past friendships from my other church have almost diminished. It hasn’t taken me long to form stronger and more lasting ones here. I have found I have much in common with the people at this church. The feeling of an overpowering presence of God’s love has helped me to know that I belong in this church. The people here seem to be accepting to all that enter in their fellowship. Jesus commanded us to love one another as He first loved us. Here His love is being shown as just that. I have recently committed my time and energy to several ministries, including one I have started. I launched the FPCOR Christian Writers’ Group with the help and encouragement of Rosalyn McKeown-Ice and Richard Ward. I think we have formed a strong fellowship among church members and guests who enjoy writing and editing. We try to help others tell their stories, and we like to share their work. Secondly, the Prayer Shawl Ministry has won my heart and energy. At the first meeting I was instantly made a member of the group. I cannot praise them enough for their love and concern for each other as they skillfully make quilts and wall hangings for the whole church body, especially for members experiencing a joy (e.g., anticipated baby) or facing a difficult time (illness, death of a loved one). They are a true testimony to First Presbyterian Church. PERSPECTIVE FROM NEWCOMER: Compared with most of members of First Presbyterian Church, the Kellers are relative newcomers. We joined the congregation approximately three-and-a-half years ago after visiting what seemed like an endless number of churches. We previously belonged to a Presbyterian (U.S.A.) church in Pennsylvania. We loved the Oak Ridge church’s commitment to social justice and stewardship of our environment, in addition to the obvious commitment to our Lord, Jesus Christ, and his teachings. ANNE AND KENT CAMPBELL: I had a questioning attitude in college. We had questions like, “What happens to the people who never heard of God?” I was an intern at ORNL in 2010. When we moved down here in 2013, we saw First Presbyterian on the Turnpike. We attended this church before I started my postdoc job at ORNL. Because the congregation is small, everyone zoomed in on us. Sue Byrne zeroed in on us first and found out I would be working in materials research at the lab. She immediately thought of Gene Ice, director of ORNL’s Materials Science & Technology Division. He wasn’t at the church at the time but his wife Rosalyn was, so Sue introduced us to her. We went to this church on a whim and found out my boss Gene Ice and his boss Kathy Layendecker were church members before I started work at the lab. We felt really welcome. You guys are like a fungus; you grow on people. It’s harder being down here away from our family in Michigan, but we feel like we have family here at church. Karissa Stewart, former youth director, asked us to help with the youth. That has been rewarding. We have done lock-ins and overnights and baked Christmas cookies with them. We took the youth to the Renaissance Festival in Knoxville.